Vehicle emissions are responsible for about 39 percent of the greenhouse gases in Arizona's air and contribute heavily to concentrations of urban ozone and particulates. 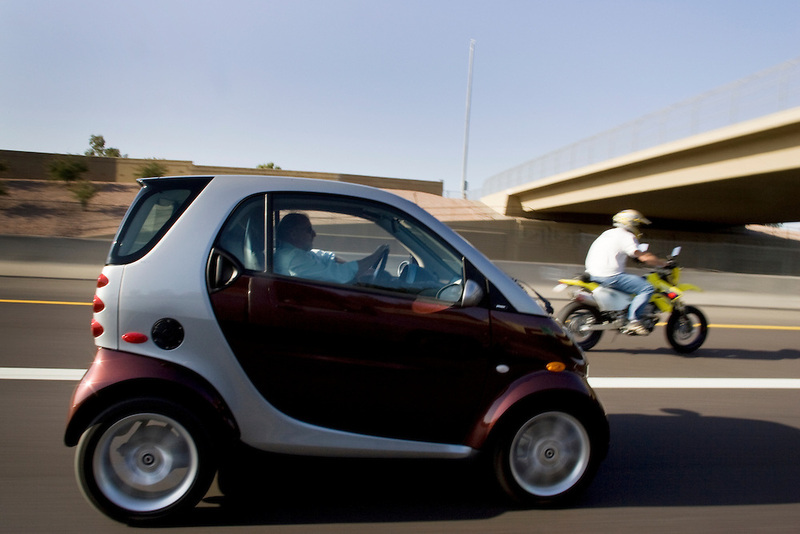 Apache Junction resident Joe Yarina cut his carbon footprint when he purchased a Smart car, which is made from recycled and recyclable materials. It gets about 50 miles per gallon and emits less than one-third of the carbon dioxide of a typical car..